Dharun Ravi sits in the courtroom during his trial at the Middlesex County Courthouse in New Brunswick, N.J., Monday, March 5, 2012. 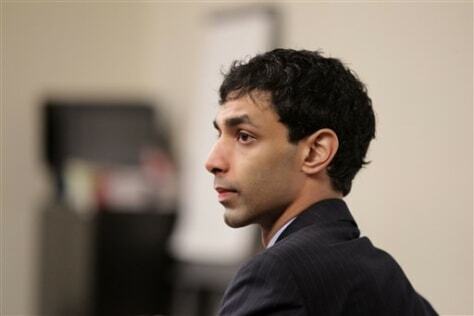 Ravi is accused of using a webcam to spy on his roommate, Tyler Clementi, having an intimate encounter with another man. Clementi later committed suicide. Ravi, 19, faces 15 criminal charges, including invasion of privacy and bias intimidation, a hate crime punishable by up to 10 years in state prison.